With the recent talk of iPads in education, particularly with those in kindergarten, it seems fitting that this educational app came up for review. With familiar characters like Babu, the meerkat from PBS Sprout, preschoolers to kindergartners will be able to make an immediate personal connection. 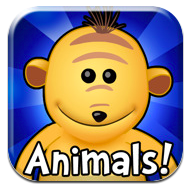 Tribal Nova has recently launched to your iTunes library, I Learn With The Mighty Jungle: Animals! HD. Designed for children and students ages 3-7, this science application will do so much more than entertain your little one. 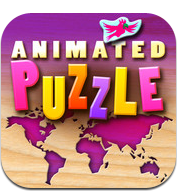 With the wonderful components of the iPad, this educational app will appeal to any child, as it individualizes their experience, while developing their vocabulary and building upon the science curriculum. Users will explore within three different life science adventures: Level 1 – Appearance, Level 2 – Habitat and Level 3 – Living Habits in order to find Babu’s friends: Bruce, Ronda and Wendall. Applicable2U understands that educators need to provide their young population with a variety of educational experiences through various forms of instruction. Through the integration of technology like an iPad, children will flourish in a whole other way not necessarily seen with traditional forms of instruction. Tribal Nova is making this happen as they are encouraging the concept of “gaming for a reason” as they connect mobile learning with the National Standards. For this reason, Applicable2U whole heartedly believes that I Learn With The Mighty Jungle: Animals! HD should be added to your download library. 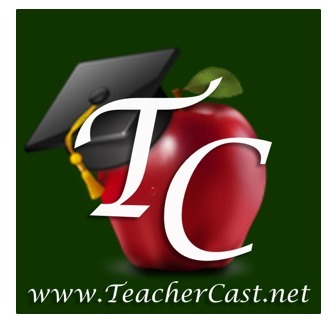 An educational app that appeals to all learning styles from visual to kinesthetic. With a very kid friendly main menu and clear directions, users will be able to navigate independently as it is appropriate. Upon entering, simply select an adventure by tapping the volcano, statue, or the hut. For first time users, it might be best if levels are completed sequentially. Regardless of the level chosen, users will need their map, listening and comprehension skills and science vocabulary in order to find Babu’s friends. As they explore they will be learning and also reinforcing life science as it relates to an animals physical characteristics, natural environments and specific behaviors. To avoid frustration, activities are not timed but difficulty will increase as it is adapted to the users progress. I Learn With The Mighty Jungle: Animals! HD can be incorporated throughout a Life Science lesson or unit. According to our district benchmarks, students should be able to: observe, classify, describe and compare/contrast as it relates to living things. From an educators point of view, this early elementary application has many places within a classroom setting as a whole, individual, whole group model. Whole Group – as life science is introduced to students, simply connect your iPad device to a large screen which is then projected overhead so all students can become apart of the learning experience. With the implementation of this science application, a teacher could explore a few pieces of each level in order to see what prior knowledge of animals the whole class has. Without any judgement, teachers would be conducting the first parts of an interactive KWL chart. As the class explores, the teacher could be observing and note taking child responses which would then guide further instruction and at what level each student should begin at when technology is applied individually. Individual – within any preschool or kindergarten classroom, visitors will notice that children will move from station to station in order to develop academic skills. If a 1:1 iPad model is accessible in your classroom or building, mobile learning is truly at its best. We have suggested that Tribal Nova incorporate a multi-user option in case 1:1 is not an option which would store a users information as to continue the learning experience with each return visit. Through this individual approach, students will progress at their own pace. A note to the developers – it might be a nice added touch if you could tap on Babu or some other object/button to define certain science terms unfamiliar to the user. If this is not a possibility, an accommodation could be added to this center which provides those in need, a vocabulary reminder sheet. As visual or verbal reinforcement is accompanied, students can begin to self assess their own understanding of living things. Whole Group – as a lesson or unit is finished, come back as a whole class and incorporate I Learn With The Mighty Jungle: Animals! HD to assess what was learned by the group. Returning back to the initial interactive KWL chart, the teacher and students will be able to see where students are successful or repeated instruction is necessary. An educator should observe students grasping key science terms, having developed their ability to compare/contrast and to observe through the use of clues. For those that require repeated instruction, it might be useful to share with parents this application and how it too can be used at home with a parent and/or individually. If you come in contact with preschoolers or kindergarteners, and you are an educator, home schooler or parent, this application applies to you. Through familiar characters, science and literacy is developed while having fun. If you would like to learn more about Tribal Nova, please visit their website here. Or you can begin downloading I Learn With The Mighty Jungle: Animals! HD from your iTunes library here.